We arrived from Arizona last night and I was so happy to see my three boys! Louisa was too. It was so cute to see how much she missed William, especially. While we were in Arizona, when she was being fussy (which was most of the time since she wasn't feeling well), I would turn on the screen saver on my iPhone, which is a picture of William smiling. She would instantly break into a grin - it was heart melting. Then, when we got home, she was so exhausted but she saw William and just went wild. The giggling, the squawking, the reaching... it was too much! It's good to be home. The boys had such a great time here with David and his parents, who came up to visit and help take such great care of William and Fritz while David went to work. They had a wonderful time! I coordinated this trip with my sister, Heidi, who lives in Georgia, so we could see each other. It was really fun staying up with her late into the night while we talked about all kinds of things. We went shopping, laughed a lot and went out to lunch with the girls. We met my sister, Helena, and niece, Clara (who was loving time with GrandMary), at Joyride Taco in Phoenix. I couldn't get enough Mexican food while I was there! Arizona knows how to do Mexican right! my beautiful sister, Helena and Alice. The other thing that Arizona winters does right is incredible grapefruit. I think I ate about 15! They were perfect! I even brought a few home and I should really share them, but I don't want to... Arizona grapefruit can't be beat! 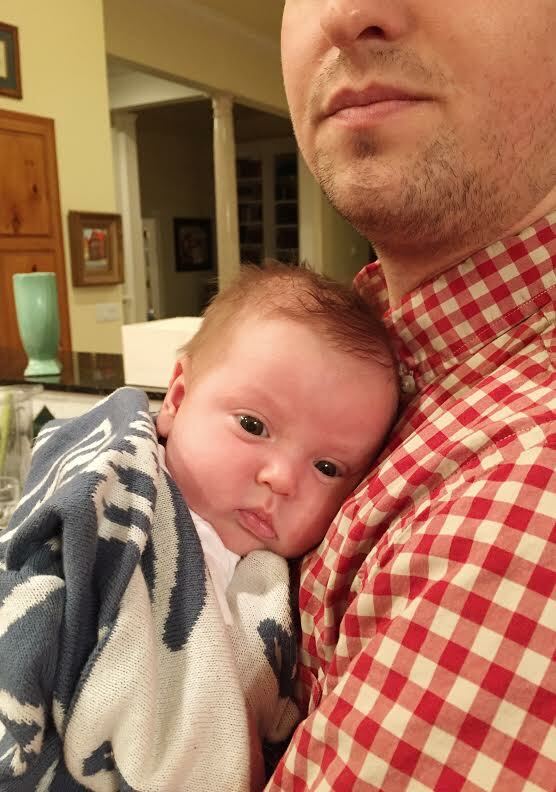 I also got to finally meet my sweet, chubby, perfect nephew, Simon Atlas. He is enormous and also enormously cute. 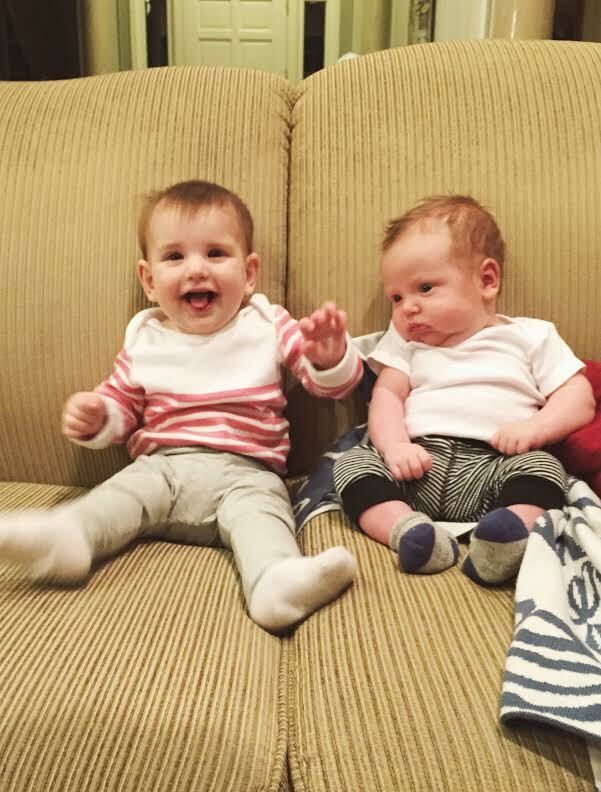 I kept laughing at how this six week old baby is almost the same size as my 7 month old peanut! pretty fun to see my brother be a dad! And my mom gave me lots of baby breaks so I could get my hair done and sleep in a little. 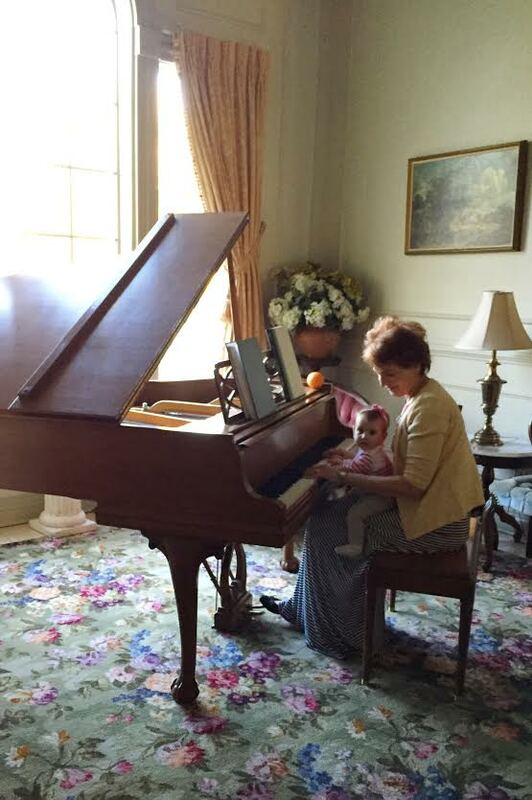 I caught her playing the piano with Louisa and it made me smile. Hearing her play the same songs that she played when I was little brought back so many memories. I am so glad I was able to see my parents and introduce them to Louisa. It was fun to be in their house again with them in it. I am so grateful to have such loving parents who are examples of dedication, faith and love. I love them. It's great to be part of their legacy! What a great time.... beautiful family ~ beautiful photos. I can't believe Simon is only 6 weeks old. I know! Isn't the cutest, most squeezable chunk? I love him! !